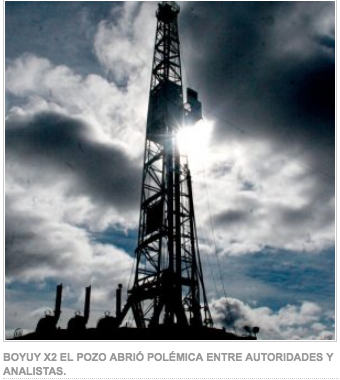 Several experts and opposition leaders questioned the insufficient information offered by the Government on the gas that will produce the Boyuy X2 well in Tarija, for which they demand transparency to know if the drilling of 7,963 meters of depth will be commercially profitable. Functionaries of YPFB indicated yesterday in the television that the well is put under “tests of production” and opted for a cautious position in the subject. Analyst Mauricio Medinaceli said that gas is probably available, but the most important thing is the calculation of the operation costs that the project will have. “It is not the same to have jewels and gold under a house or at 8,000 meters of depth,” Medinaceli said in an interview on Radio TV Fides. According to its findings, since it is a very deep well it is possible that in the course of the drilling it has affected important water reservoirs with the consequent environmental effects. If confirmed the projections of the ruling party, Medinaceli anticipated a new revenue boom for the country. He warned, however, that these resources now should be used to plant efficient export-oriented companies, which did not happen with the nearly 60,000 million that the Government received in the 13 years of management and that the productive structure of the country that maintains an extractive pattern did not change. “Every day we are fearful when looking at oil prices. This situation can not be prolonged in the following decades,” he said. The Democratic senator and presidential candidate, Óscar Ortiz, pointed out that experts informed him that it was found “a lot of water and little gas.” The tests have produced an average of 1.8 million cubic feet, he said.